The Hapalua Half Marathon is one of the top Oahu events in April. Ambassador Hotel Waikiki, a Honolulu Hotel, welcomes April visitors. Visitors who are planning an April visit will find a number of impressive special offers at Ambassador Hotel Waikiki. 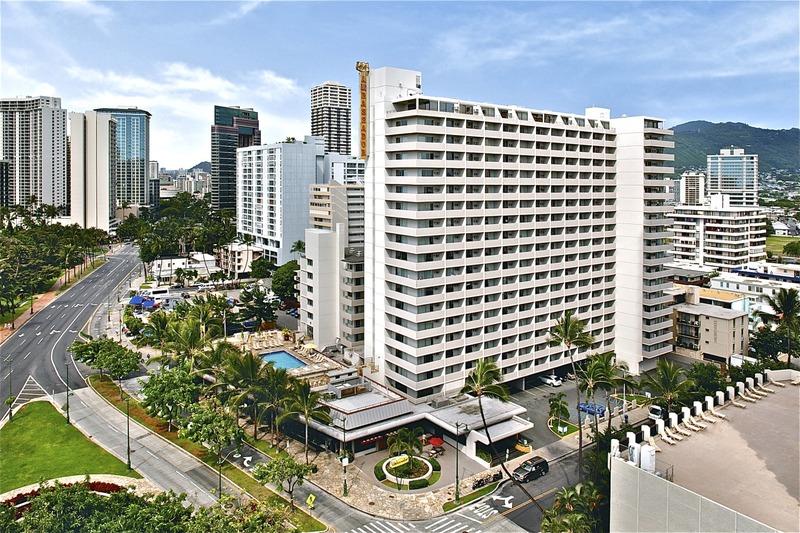 This Honolulu Hotel has an ideal location and some of the best rates in Waikiki. This Oahu event offers one of the most beautiful backdrops for a half marathon anywhere in the country. The race begins on Waikiki Beach near the statue of Duke Kahanamoku and the finish line is at Kapiolani Park. Those wishing to participate can register online. Hawaiians eat more SPAM per person than residents of any other state, and this Oahu event honors that fact. Dozens of local chefs will serve up their SPAM-inspired dishes. Entertainment, activities for the kids, and more will also be part of the fun at SPAM Jam. For 25 years, this Oahu event has welcomed walkers who participate as a way to honor a loved one or to support HIV testing and HIV/AIDS care initiatives. All of the money raised through the Honolulu AIDS Walk will benefit the Life Foundation. This charity provides testing as well as care to men and women on Oahu who are living with HIV/AIDS. Walkers for this 5K event can register individually or as part of a team. Both locals and guests at our Honolulu hotel enjoy this Oahu event. Some of the Island’s best food trucks and restaurants are on hand dishing up fabulous local cuisine. Vendors and local crafters make it fun to do a little shopping as you listen to live entertainment. The event begins at 5 p.m., so there is still plenty of time for enjoying the beach before heading to The Pit Stop for some shopping and dinner. Ambassador Hotel Waikiki is located near these and other top Oahu events. Those planning a visit can view the Honolulu Hotel’s website or call 808.941.7777 to make a reservation. Each Guest Room of the Oahu hotel features a Private Balcony, Flat Screen TV, and other impressive amenities. It doesn’t take long for guests to see why Ambassador Hotel Waikiki is a top pick of travelers looking for the perfect Waikiki hotel! Visiting Waikiki? Choose Ambassador Hotel Waikiki - A Honolulu hotel, located in the heart of Honolulu and close to many Honolulu activities, Honolulu things to do and more. Check Rates, Make Reservations or call toll free: 808.941.7777. Ambassador Hotel Waikiki is an ideally-located Honolulu Hotel offering some of the best rates near Waikiki Beach.